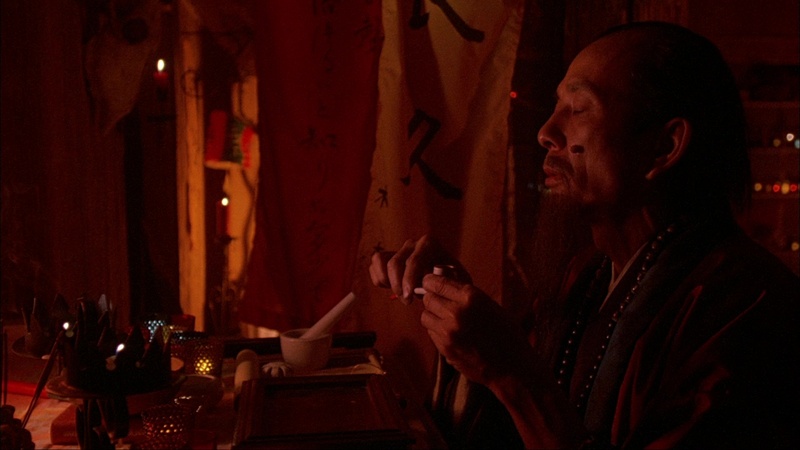 Color, 1984, 92 mins. 59 secs. 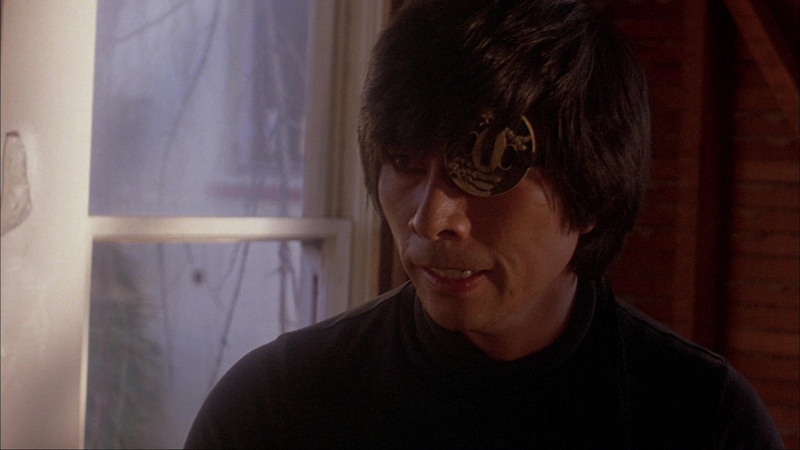 When a Japanese executive (Chung) finds his body invaded by an evil ninja and disrupts a quiet afternoon at a country club, it's all bound to end in tears, throwing stars, collateral damage, and a huge police turnout. After a long chase, the troublemaker (listed in the credits as Black Ninja) ends up dying in front of Christie (Dickey), a telephone line worker who accepts his sword and promptly becomes the ninja's next host. She's also an aerobics instructor and the romantic interest for Billy (Bennett), a hirsute cop who made it out of the first ninja melee alive. Now the Black Ninja is turning Christie into an implement for his own evil revenge plan, using a video game in her apartment as a portal to the dark side. 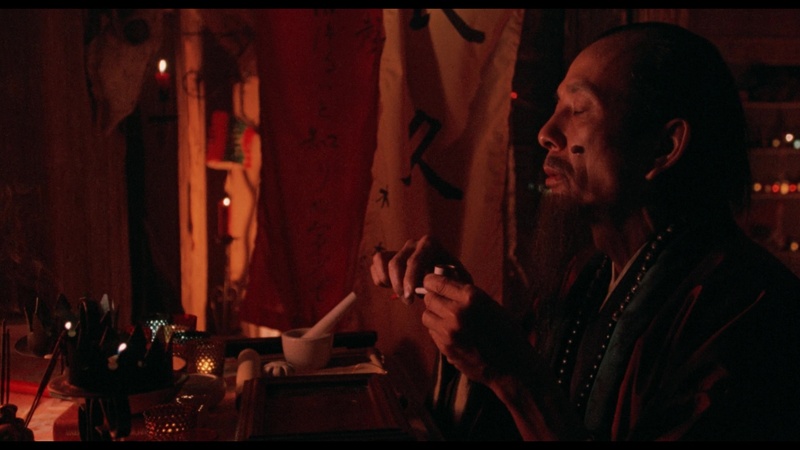 Billy eventually figures out that Christie is involved in the continuing crime spree and takes her to a mystic (Hong) for an attempted exorcism complete with shackles, but when that proves futile, there's only one hope left: Yamada (Kosugi), a ninja who arrives from Japan to settle a long-term score with the Black Ninja once and for all. 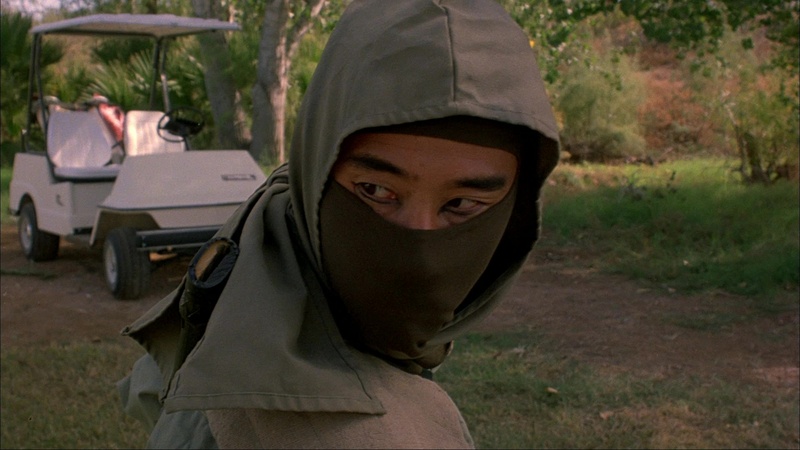 Released in September of 1984 (the same day as Cannon's Exterminator 2 and hot on the heels of its infamous Bolero), Ninja III was also sandwiched smack in the middle between the same year's Breakin' and Breakin' 2: Electric Booglaoo, which also starred Dickey in what would amount to a holy pop culture trinity with the dancer/actress (who would also go on to star in the delirious Cheerleader Camp). The marketing campaign at the time didn't come close to indicating the full-tilt insanity on display in the actual film, which was helmed by Polish-born Sam Firstenberg just after his Cannon debut with Revenge of the Ninja (and followed by American Ninja and one of Cannon's finest hours, Avenging Force). He really pulls out all the stops here, delivering a string of bizarro action set pieces that still bring down the house today and enough baffling little touches (like a Looker-inspired laser show on Dickey's face) to keep psychotronic fans fully satisfied for an hour and a half. 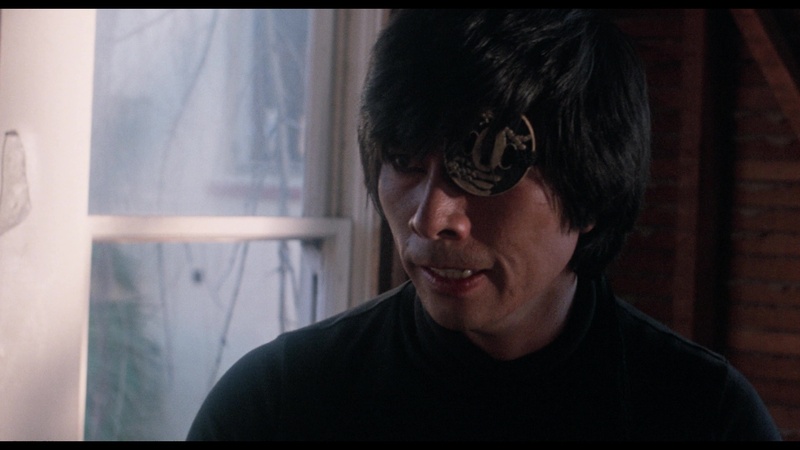 Interestingly, top-billed Kosugi doesn't really come into play until quite late in the story; however, he really delivers where it counts including a crazed climax that has to be seen to be believed, somehow topping an already crackpot stew of The Exorcist, Flashdance, and Poltergeist. The video history of this film is an odd one considering its ongoing cult reputation. A VHS release in one of those oversized MGM/UA boxes was a mainstay back in the latter half of the '80s, but after that the film dropped out of sight for a very long time and has still never been given a standalone DVD release in the United States. In 2012, German label Edel issued it on separate, insultingly terrible Blu-ray and DVD editions poorly ripped from an old VHS copy; fortunately Scream Factory came to the rescue soon after during the label's infancy in 2013 and released it as a dual-format Blu-ray and DVD set with a new HD transfer that finally did it justice on video. 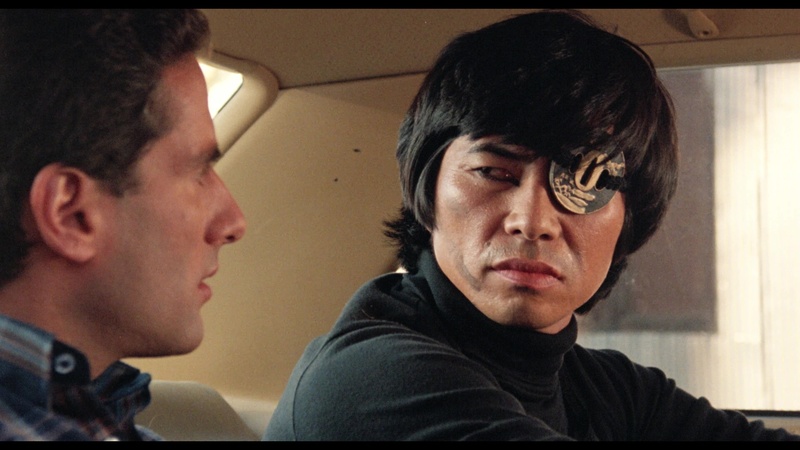 That edition also featured a solid DTS-HD MA 2.0 stereo English track on the Blu-ray with optional subtitles, a photo gallery, and a lively but sometimes indecipherable audio commentary with Firstenberg, stunt coordinator Steve Lambert, and interviewer Rob Galluzzo. In Germany it was also reissued in 2015 with that new master to atone for some very severe past sins. 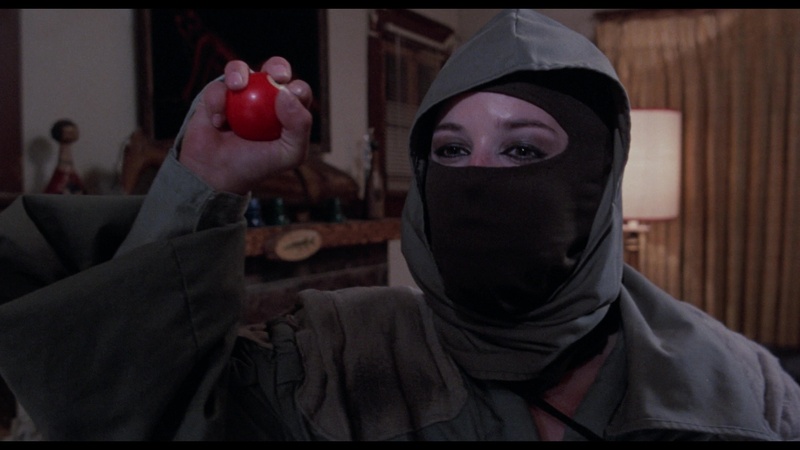 That wasn't the end of the line for NInja III on Blu-ray though. With the title proving to be a regular high seller for Scream Factory, they decided to give it a rare double dip given the untapped potential for bonus material and advances in transfer technology over the past five years. The resulting 2018 Blu-ray is touted as a new 4K scan and does look better; the older one was definitely respectable on its own, but the improvements now are significant including punchier colors (red in particular) and, most obviously, pure whites now that looked more cream or beige on the earlier release. Now we can only dream of a UHD release someday in the future to make that format complete. The DTS-HD MA English 2.0 track still sounds nice and punchy for an '84 Cannon stereo mix. The commentary has been ported over, and in a very welcome gesture, there's a third listening option with Red Shirt Pictures' Michael Felsher hosting audio comments from production designer Elliot Ellentuck and co-composer Misha Segal along with (yes!) big chunks of the isolated score, which has never been released before in any format and sounds fantastic here. Segal would go on to write the excellent score for the 1989 Robert Englund version of The Phantom of the Opera, and it's especially interesting hearing his story starting out in Israel and coming on board with Menahem Golan and Globus in the Cannon days and beyond. Ellentuck chimes in during the second half and has his fair share of stories, too, about working with the sets to accommodate the mayhem and enjoying the fair weather in Arizona during the shoot. 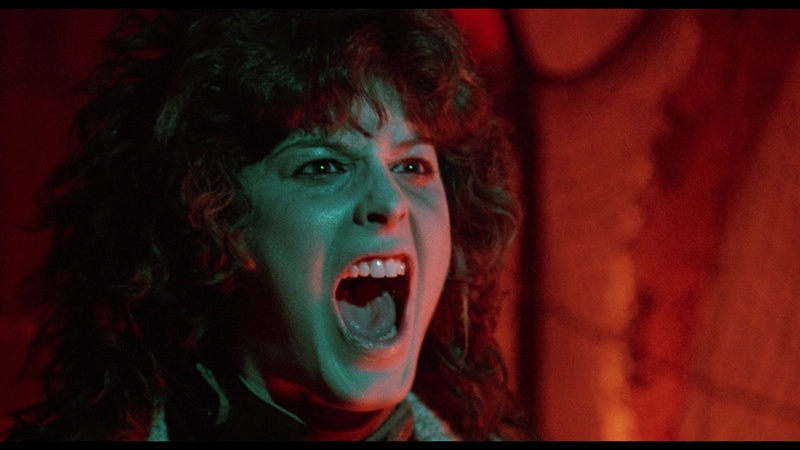 Three substantial new featurettes are added as well, kicking off with "Dancing with Death" (18m24s) with Dickey chatting about her dance career (including Grease 2) and entry into the world of Cannon Films. Anyone familiar with her charming appearance in the doc Electric Boogaloo: The Wild, Untold Story of Cannon Films should have an idea of what to expect here as she explains how she auditioned for this film and got the role (pre-Breakin'), had to learn to climb a telephone pole, got her hair permed like Jennifer Beals, and much, much more. She also explains how the ending was reshot and changed the outcome of who killed whom, which would have made for a somewhat different feel in its original form. Great stuff. Next up, Jordan Bennett (who's also a talented singer in his own right) appears for "Secord's Struggle" (10m25s) covering his early entertainment days in the Catskills and his role in this film including his role in coming up with the V8 scene, the real chant Hong was doing during his big scene, and the enduring popularity of the film today. 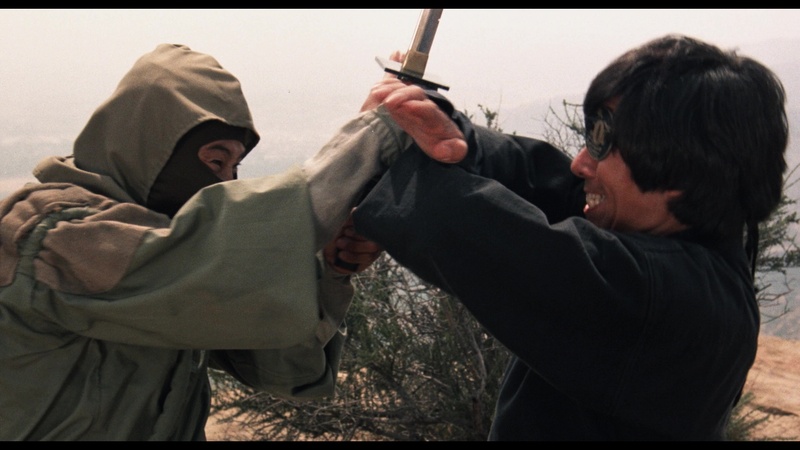 Finally producer, assistant fight choreographer and stunt man turns up for "Birth of the Ninja" (11m47s) to chat about the necessary expertise in ninja fighting, the writing of Enter the Ninja, Golan's enthusiasm for the series, and the dangerous weapons involved in some of the action scenes. Also included are the theatrical trailer, its Trailers from Hell version hosted by Josh Olson, and separate galleries for promotional material (stills and poster art) and Firstenberg's behind-the-scenes photos. Reviewed on June 7, 2018.